Not as cute as it might sound. We've all seen those festive elf hats for sale around the holidays. You know, the ones with the pointy ears? Well, one teen from Tennessee had been living with ears like that all year round. That is, until she got the pointy tops cut off. 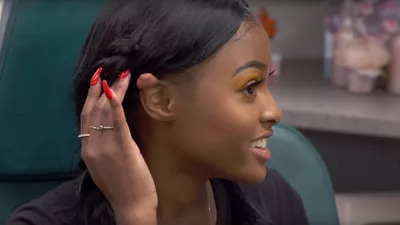 TLC's Dr. Pimple Popper, which follows the patients of Los Angeles dermatologist Sandra Lee, recently featured 17-year-old Taylore, who had scar tissue buildup on the tops of her ears that she said made her look like an elf. How did her ears get to be pointy? Taylore had her cartilage pierced on both ears when she was in middle school. For awhile, everything was fine. But at age 15, she went to a summer camp where she was required to take the piercings out. "A few months later, they just started to grow," she said on the show. 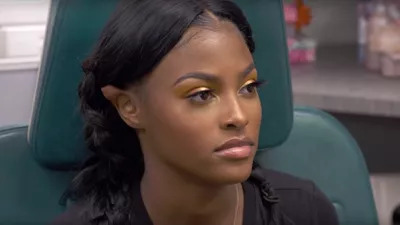 The scar tissue buildup on each of Taylore's ears is called a keloid. Jared Liebman, MD, a plastic surgeon with Einstein Healthcare Network in Philadelphia, previously told Health a keloid is a type of scar tissue that grows beyond the border of its original wound. Keloids can form anywhere on the body where an injury has occurred, but one of the most common places is on the earlobe after a piercing. Some ethnic groups, including African Americans, Asians, and Pacific Islanders, are genetically predisposed to developing keloids. In extreme cases, they can form after even the slightest trauma to the skin. Taylore said her dad falls into that category. Dr. Lee was able to successfully remove Taylore's keloids. But she warned that because any kind of trauma (including surgery) can cause keloids, there's a chance Taylore's will come back. "Any time you cut it off or try and do anything, you're creating more trauma," Dr. Lee said in the show. "It's a gamble. It's potentially very likely it will come back bigger." But even so, Taylore just wanted them gone. She said they were super uncomfortable and itchy, and they took a serious toll on her self-confidence. She's always had a dream of becoming a model, but with her ears, she just didn't feel pretty. If you have a keloid, speak with your physician or dermatologist about your options. But no matter how badly you want to get rid of it, never try to remove a keloid on your own. There's a higher risk that the keloid will grow back (yes, probably bigger) if it's not removed by a medical professional. Dr. Liebman said DIY removal could also cause unwanted deformities in the area surrounding the keloid.